Hello beauty world, sorry I’ve been M.I.A. 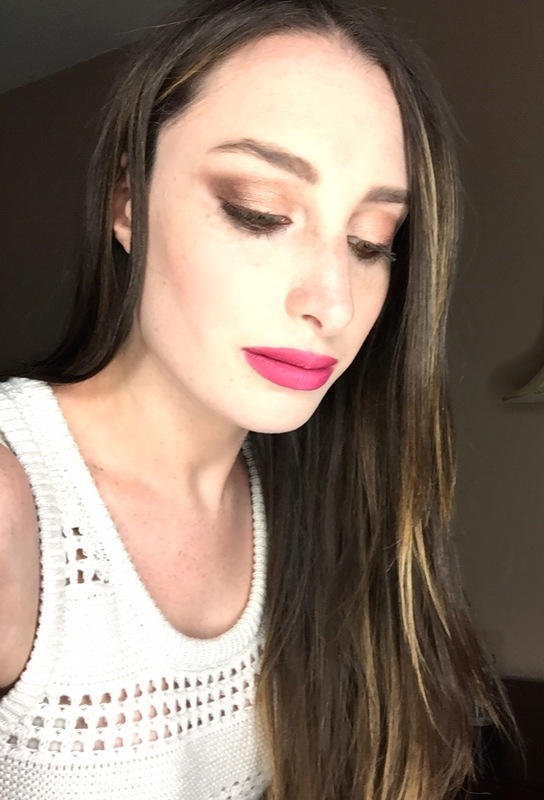 for a sec, but I’ve been looking for a new product to review and was finally inspired by the new Maybelline Color Blur Matte Lip Pencils. I picked up three shades, I’m Blushing which is the shade above and is a dusty light pink shade. Cherry Cherry Bang Bang which is a cherry red, obviously, with a pinky undertone, and Berry Misbehaved which is a bright berry color, not quite fuchsia, but a very punchy pink. I picked mine up at Target for $7.99 a piece. These lip pencils features a sponge side to blend from the middle of lips for a more flushed lip look seen here, in Allure Magazine. You can wear them as a full matte lip like I am above or wear it blurred out, I also think these are great to create a ombre lip. 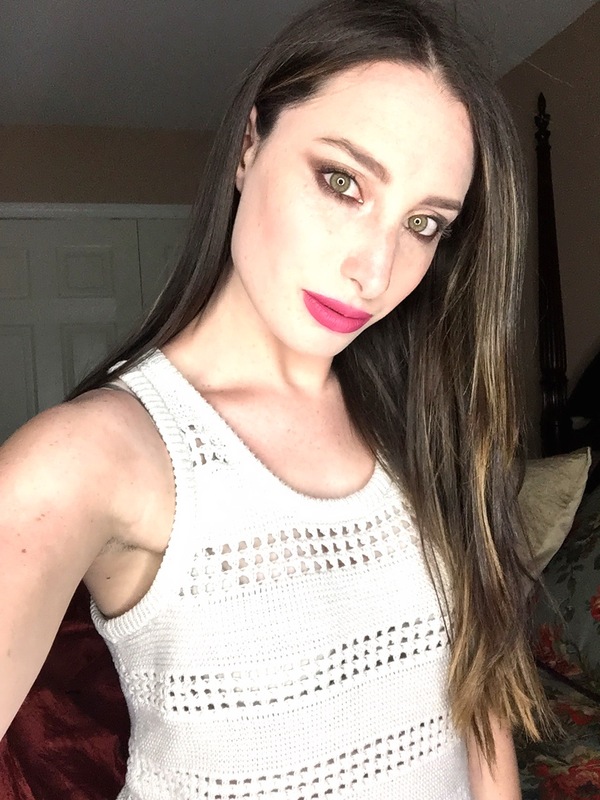 Sidenote: I also got a Keratin Express treatment, my hair is really wavy and awful with frizz in the summer, so I’ll let you know if it’s worth it! 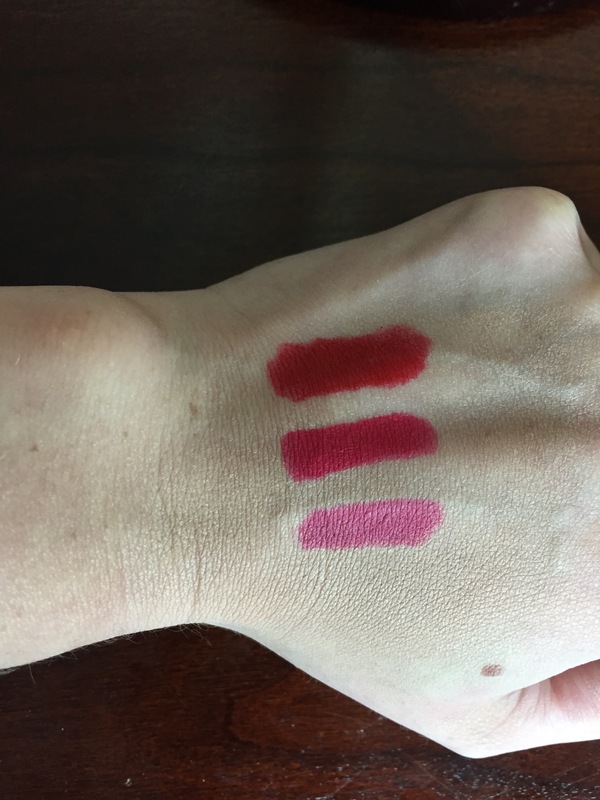 I wore each of these lipsticks on separate occasions and wore Berry Misbehaved and I’m Blushing ombred together. I also smudged my lips out with Berry Misbehaved and Cherry Cherry Bang Bang. The applicator for the product is super easy to use and define for a clean lip look. 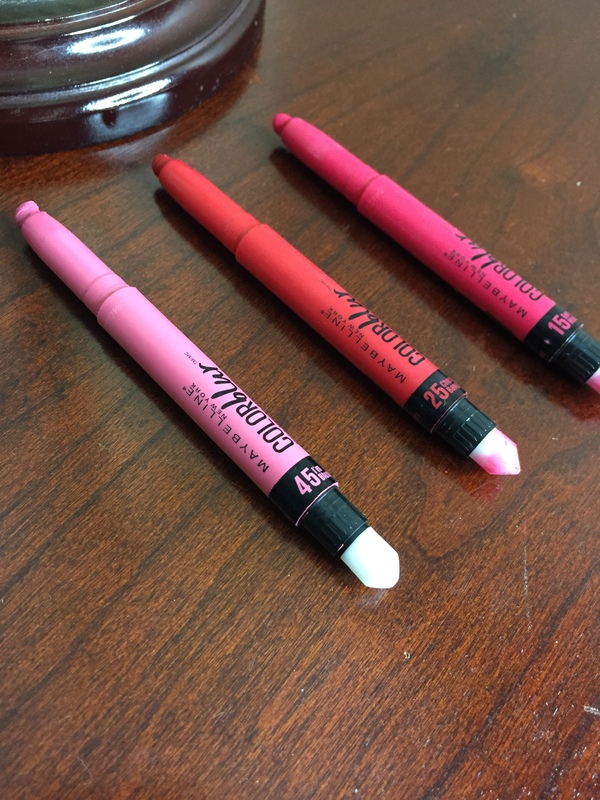 The pencil is creamy and easy to use to line and fill in lips with no significant bleeding. The spongy applicator is great for spreading product from the center out, its soft enough not to chafe lips, yet hard enough it doesn’t smear product. Overall I love these, as I love most of Maybelline’s matte lip products. I think they beat out even the high-end matte lipsticks. 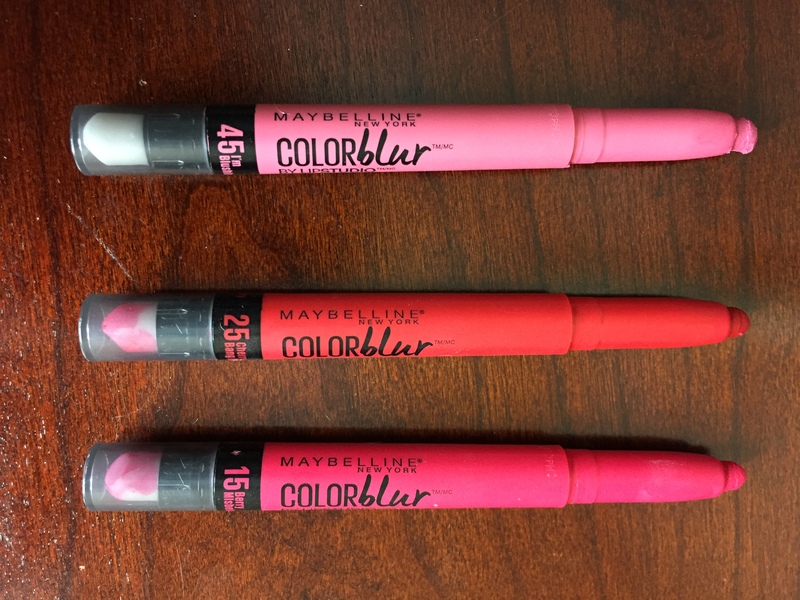 The closet product to these for me is Colour Pop’s Matte Lippie Stix, but they’re not as matte as these Maybelline lip pencils. As far as matte lip products go you can’t go wrong picking up a few of these, they’re more precise than Maybelline’s matte lipsticks as well. Brows: NYX Micro Brow Pencil in Ash Brown, Brow Bar to Go darkest shade to fill in, NYX Brow Mascara in Brunette to set. Used Cherry Cherry Bang Bang on the lips, dress is Express.